Pininfarina in London marks the world debut of the innovative system of urban public transport Personal Rapid Transit (PRT) developed in collaboration with Vectus, Korean company, leader in urban mobility solutions. Vectus concept is based on a system of small, light and driverless vehicles, efficiently navigating on a network of interconnecting tracks. 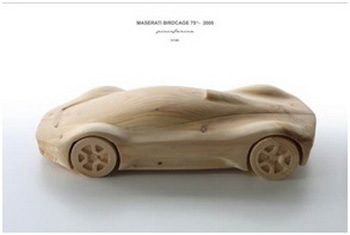 Amongst the array of exhibits at the 'Pininfarina in London' exhibition will be wooden scale models of the Maserati Birdcage 75th, Cisitalia 202 Berlinetta and Dino 206 GT Coupea Special. London celebrates Italian design on the occasion of the Olympic Games and the International Achitecture and Design Showcase. And it chooses to do so by dedicating an exhibition to the Pininfarina brand as an expression of Italian excellence exported all over the world. 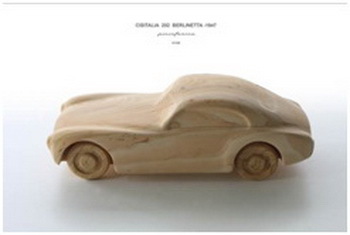 The exhibition Pinninfarina in London will be inaugurated today at the London headquarters of the Italian Cultural Institute in Belgrave Square, open to the public from 22 June to 15 July 2012 with free admission. Pinninfarina in London stems from the desire of the Italian Cultural Institute in London and of promoter Pino Pietrolucci to present a protagonist of Italian style and an example of the most prestigious products Made in Italy to the Londoners, tourists and athletes who are in the capital during the pre-Games period. The exhibition will obviously include a reference to the car, which has always been Pininfarina’s core business. A Ferrari FF and a Maserati GranTurismo will be displayed on the day of the inauguration, at the entrance to the Institute. 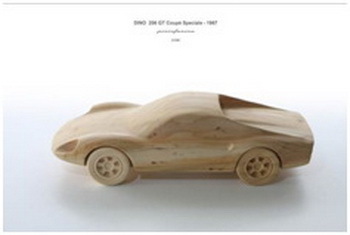 The exhibition will also feature four sculptures in cedar wood, made by Riva 1920, which reproduce four Pininfarina design icons: the Cisitalia of 1947, the Dino of 1967, the Birdcage 75th of 2005 and the Cambiano, the concept car launched by Pininfarina in Geneva this year. The 2uettottanta, Pininfarina’s concept car launched to celebrate the company’s 80th anniversary in 2010, is represented by a limited edition scale model. But the real focus of Pinninfarina in London is the ‘other’ Pininfarina, the company that for 25 years has been experimenting with design in all those fields where beauty merges with innovation and functionality. Pininfarina Extra, which was established in 1986, specialises in product and interior design, architecture, nautical design and aviation, has developed more than 400 projects. Research, obsessive attention to detail and a focus on man’s needs and dreams, have projected Pininfarina Extra to the peak of the industrial design market. Some of its creations have become true icons and they are included in the London exhibition. Starting with the symbol of Turin 2006 Winter Olympics, the Torch, which Pininfarina designed and engineered, manufacturing more than 12,000 units. Among the other works on display are the Free Style beverage dispenser, that Coca-Cola is placing all over the United States, the Lavazza Firma coffee machine, which will be soon all over the world, but also innovative concepts such as the Pininfarina helmet or Calligaris Orbital table, Lange Fluid ski boots, the Ares Line Xten chair and Premiere conferences chairs, the Gorenje-Pininfarina fridge, the range of Bric's by Pininfarina suitcases, the bike from the range of Panatta Sport Pininfarina cardio fitness machines. Plus, in the graphics on display, the design for the Juventus stadium, the Keating Hotel in San Diego, the luxury apartments for the Millecento project in Miami, aircrafts, trains and photovoltaic stations to charge electric cars. 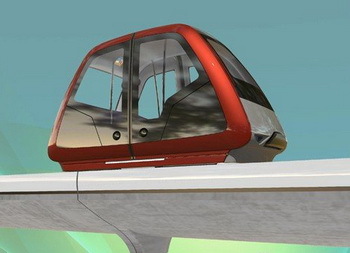 Pininfarina in London also marks the world debut of the innovative system of urban public transport Personal Rapid Transit (PRT) developed in collaboration with Vectus, Korean company, leader in urban mobility solutions. Vectus concept is based on a system of small, light and driverless vehicles, efficiently navigating on a network of interconnecting tracks. It is an on-demand service: the passengers are carried from one point to another on demand, without intermittent stops, optimizing travel time. A 1:18 scale model of the vehicle will be on display at the exhibition. “We are proud to be recognised as a style icon,” Pininfarina continues. “From Pininfarina’s perspective, style must be able to face the challenge of long-term exposure, and must be characterised by innovation and essentiality. Innovation is a continuous search for new formal languages ​​that are not conditioned by current issues but, instead, have the goal of establishing a new trend. Essentiality means harmonious volumes, shapes and lines, in the classic tradition of Italian design, in which simplicity is combined with the strong aesthetic personality of the product. Our goal is the combination of these characteristics: elegance". A special area of ​​the exhibition is dedicated to young people: to coincide with Pinninfarina in London, the prestigious Royal College of Art has launched a design contest among its students, to celebrate the cultural value of creativity and innovation while London gets set to host the Olympic Games. Last February students were invited to submit a design proposal that could enhance London’s reputation as a world capital of creativity and contribute to the social and economic wellbeing of its citizens and guests. Ideas for products, services, experiences, communications and environments have all been considered. Entries had to refer explicitly to at least one of the key themes of the London 2012 Olympics: culture, employment and skills; accessibility and equality; health, safety and security; legacy; sustainability. The jury, chaired by Paolo Pininfarina, selected the finalists, whose work will be exhibited in a room at the Italian Cultural Institute. The three winners will receive their prizes today, during the inauguration of Pinninfarina in London.